My name is UNIQUE and BEFITTING for Me. TRUE! 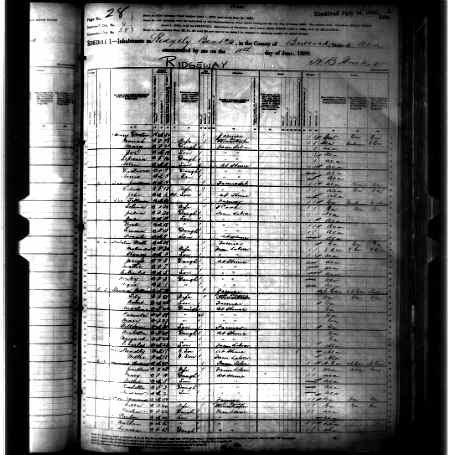 I'm taking a Journey in Looking at my Ancestors NAMES and how they are passed along and for what reasons? 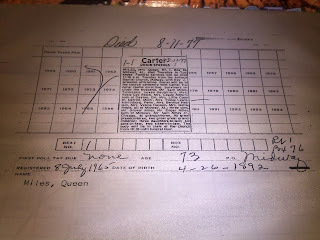 They have been helpful in me finding more of my Ancestors Documents. It all started from what we know with Ike Ivery's Parents. 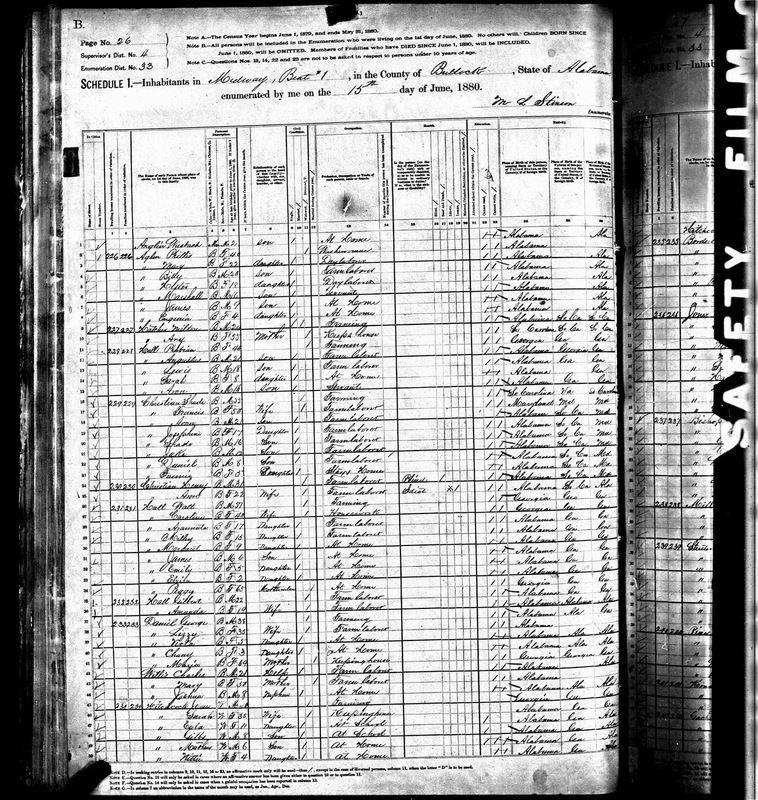 William Ivery born during the War of 1812 and Minta? born 1834. Granddaddy William also used Ivey as a surname. I don't know just yet if we choose the name or was it from the Slave owner? There were Ivey's living nearby. That is what I associate for my reasoning. I'm always on the hunt for the connection! Granddaddy Ike is listed as Issac! Issac and Ike have gone on to each Generation till present day in this family. Down below are "Some" things I've learned along the way about them. I'm always searching for more. I'm just excited and Proud to know Granddaddy Ike had Parents, Brother's and Sisters! and that they were recorded and not lost in the Middle Passage. I can go just a little bit further back and I'm grateful. So many times we focus on a Person's NAME, that we tend to forget they had a Family besides the one they Made. My Mentor had to go and see what else he could figure out. There was no Record to Print. As you can see above. Only to snail me and tell me it was on Page# 448 Marriage Record Book #4 Coloreds. It was just unreadable and he got what he could. What it did say was she was married "At her Father's Place" William Ivery. 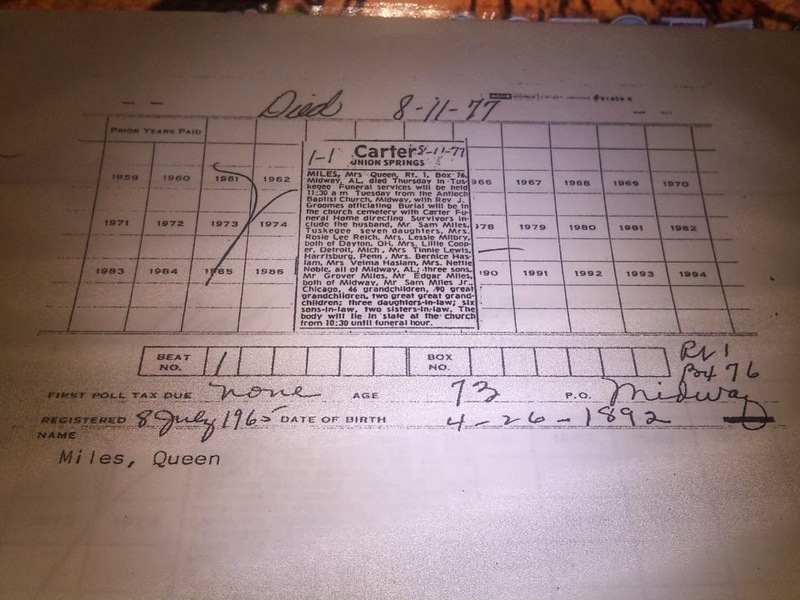 Which told me Granddaddy Ike's Father William was still LIVING in 1881! he would of been about 69. Out of the 7 children 5 were born into Slavery. Abrahama and Sarah were born after Freedom came. Charles Haynes is also Brother to Mary Haynes, Ike's 1st wife. Siblings married Siblings. I find Milford McTyiere living with them along with Rosanna's husband Charles Ford. Milford could of been a wedding dowery of Mrs. Caroline McTyiere Ivey who was married to Malachi Ivey living near my Slave Ivey/Ivery's. Jacob: Born 1860. He's the one that keeps me drawing me near. Jacob is Resounding! 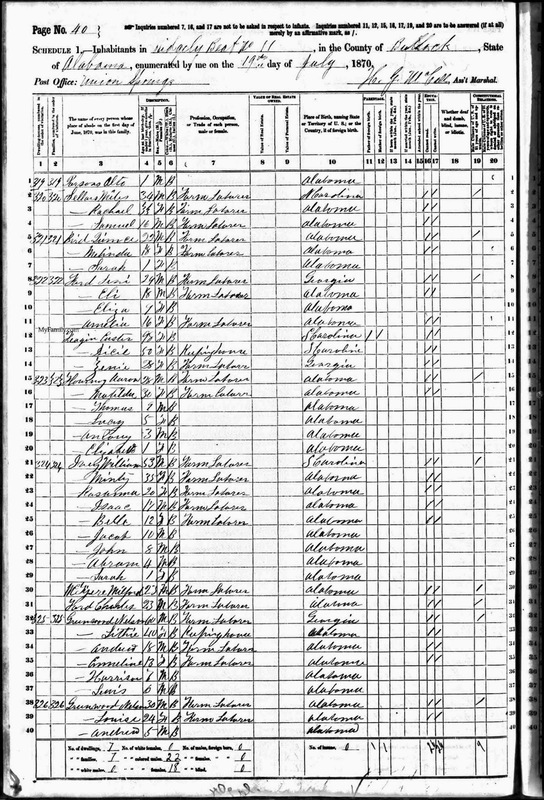 He is still Living until 1880 Census he's 18. I'm wondering what happened to him? Granddaddy Ike used his Siblings names in Naming his OWN Children. 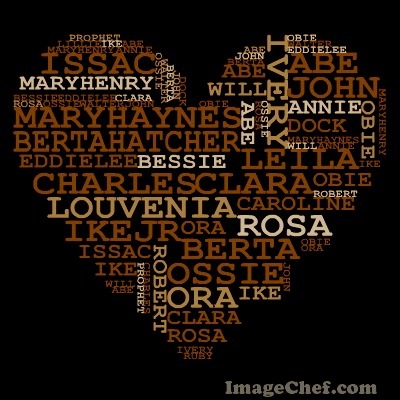 How Grandaddy Ike passed family sibling names. Rosanna: Was used for my OWN "Grandma Eddie"! Isabella: Belle was used for Ike's first daughter, "Leila Belle". We have passed Belle on in many ways in this family. I haven't seen Isabella yet. I couldn't find Isabella at first because they were using Belle. Jacob: I haven't seen this used yet. I like Jacob! 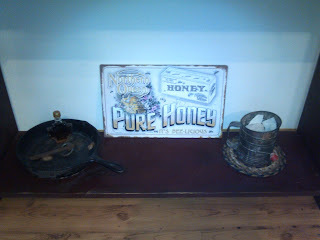 John: Granddaddy Ike, used this for his 2nd Son. We've seen it used many times. Daughter Eddie, named her Daughter Johnnie Mae. Abraham: Was used for Ike's 3rd son Abe. William: Ike used for his 6th Son. I think it was for remembrance of his Father. We have passed this name on as well. Sarah: Once again his Daughter my Grandma Eddie, used it for her Daughter's name. This just confirms to me how close her and Grandaddy Ike were from all the stories my Dad told me. She really carried this Naming Tradition on down. Sarah Cate Lewis Glenn Miles she is still living at age 97! Granddaughter of Our Beloved Ol'Slave ~ Ike Ivery! I know most are Biblical Names which Slaves had the tradition of doing. When I see it used again. I know it's in Remembrance of Our Elders. Some of these names it took a long time to identify. Many times family would use Nicknames, or name would be shortened which hindered my research. Over the years I had to learn about Soundex and look for clues in nicknames or shortened versions or variations of a NAME. example: Minty/Minta could be "Arminta". As a young Mother I had help in naming my 1st child. Been taught what it means to Name your Legacy. So with keeping and passing this Tradition down. With the help of Daddy; James E Lewis and Mom. My Son was named after his Great Great Granddaddy James Edward Lewis born 1884, his Great Grandfather born 1918 and Grandfather born 1947. We call him "Eddie" for short. Which is also his Great Great Grandmother's name! The Jewels in my Crown have been paid for Mightily. I will wear my Crowned Name Proudly. Blog Caroling "O Holy Night!" This song always gets me teary-eyed and grateful. Thanks to Footnote Maven! for doing this every YEAR! She was born in May of 1847 possibly as early as 1843. She was 6ft 2inches of pure survival. This is where our Oldest Known L1c1d comes from in our DNA tested line. 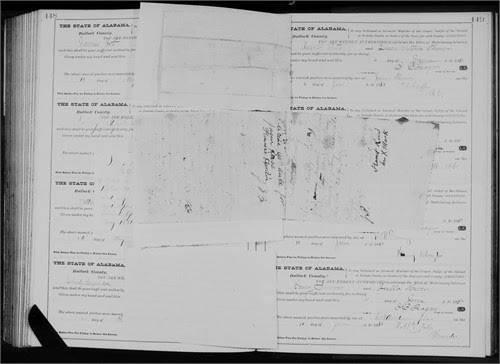 On 1880 Census in Bullock County it's stated that she was born in Alabama and she was 35. She doesn't state where her Parents where born. Grandma Lizzie is on my Paternal Mother's side. She is living with her husband George Daniel, he was 38, her Mother in Law Mother Maria A born 1811. Mary Willis is living with them with her son Charles age 21 and a nephew Joshua age 8. I'm not sure of the relationship of Mary Willis? Was she sister to Maria A. George's Mother or just a boarder? I'm researching and looking through my DNA matches. If you remember my Grandma Berta Hatcher which is on my Paternal Father's side. Grandma Berta's brother Charles Hatcher was living next to them with Grandma Berta's Grandmother Airy. Two of their 8 children were born by 1880. My Aunt's Chaney and Aunt Viola. Eventually she would have Mary, Isaiah, Hattie Mae, Georgia and "Queen" whom I belong to. Robert. 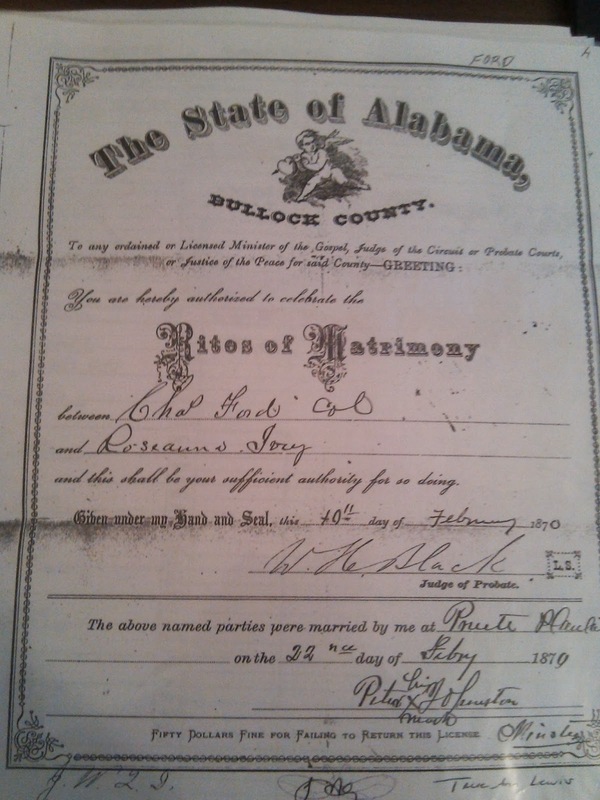 By 1900 she states she was married in 1865! She's had 11 children and 7 are Living. Aunt Velma told me last night two of her Daughters died within days of each due to some flu epidemic that came through Midway. Her and George are still living in Midway, Alabama. 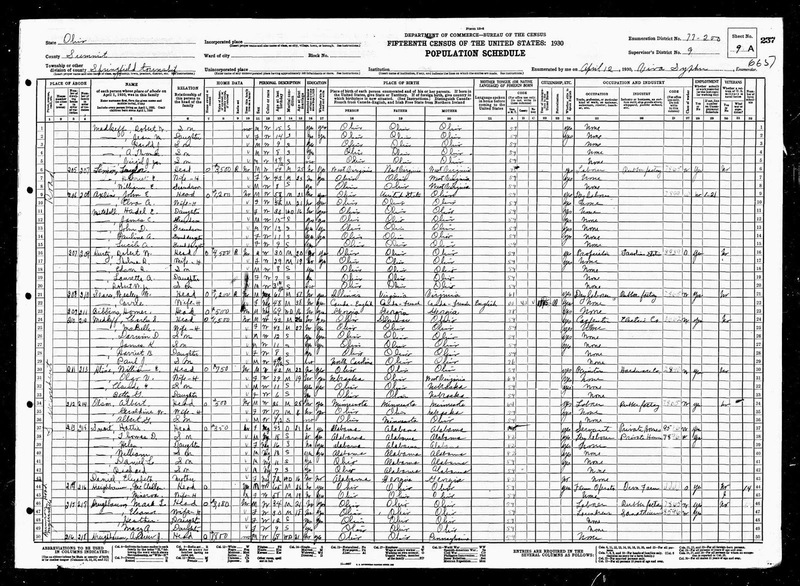 In 1910 the Census from Bullock County, Midway, Alabama says she is 60. So some dates are off. Grandma Queen and Robert are at home still living. Queen is 18. She got married in 1911 and had her first child in 1912. 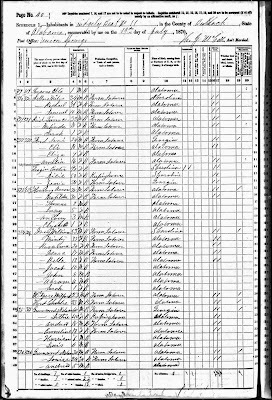 My Granddaddy Ike Ivery is on page 23 of that census. So he is living nearby. George and Lizzie's Granddaughter, my Momma Tinnie eventually would marry the Grandson of Ike Ivery, James Lewis. So the Ivery's knew the Daniel's! 1920 She is still with George. Grandaddy George Daniel had passed away January 21st, 1921. At some point she moves to Springfield County, Akron Ohio with her Daughter Hattie Mae (pictured below), She is my Grandma Queen's sister. 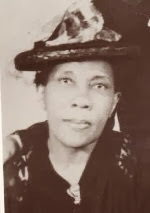 Aunt Hattie Mae married Thomas Smart Sr. 5 of her children are in the household with them. If you all knew my Grandma Queen they favored so much. They say when Grandma Lizzie came from Birmingham to visit them in Akron Ohio on Bina Avenue, she would smell fresh of homemade sachets. Rose and Lily's. 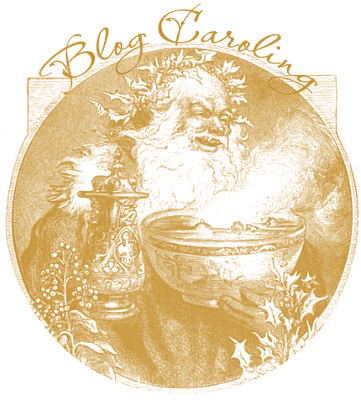 She wore long ankled length skirts, starched petticoats. Her 2 piece black suit was handmade, she was to tall she had to have her clothes custom made. She went to St.Paul's Baptist, but she was a staunch Methodist. When they would leave church going past Summit Lake, she would say, "them Baptist Think God all Mighty is deaf" because of all the whooping and hollerin'. She was so big and strong and 90 sumpin' years old. She was strong as any man, and no one would mess with her. She made the girls sit with their dresses over their knees: "No one wants to see your Possible". My Mom Tinnie was jittery around her Grandmother, she couldn't understand how her Mother was the Sweetest thing on earth could have such a STERN Momma. I don't know if I'll know all of Grandma Lizzie's ills with the World? I can only go by what her Granddaughters have relayed to me. I think it had a lot to do with Slavery. Out of all of this, her Daughter Queen raised some STRONG children. None were weak. I know by her ways and means Mom learned lessons from her also. Mom said Grandma Lizzie "Smoked" all day. She had a trunk that she didn't want none of them "Chillren" to mess with. Mom said she never did find out what was all in it that she was so protective over? She said once, when she was with Grandma Queen, she hollered at her Daughta'! Keep them kids from my trunk Queen! Momma they ain't meaning no harm, they's just running and playing. They ain't thinking about that trunk. Mom left me clues to further my research. Mom called her a "Devilish Ol'Lady". Mom told the truth. She said they would call her a "Pistol Witch" behind her back. They was scared and didn't act up around Grandma Lizzie. Eventually I would do a search on her on Google. Just to see what would come up? That is when I ran into my Cousin Jeanne Cheatham. She is a famous Jazz Singer. She is the Granddaughter of Hattie Mae Daniel Smart. Her book titled "Meet Me with Your Black Drawers On" My Life in Music. It's also her signature song, the book included a CD with her work of music on it. This is where I found a lot of info on Grandma Lizzie we had heard so much about. I never thought I would see a picture of her but there it was! She told of things Grandma Lizzie would say or do: About her Shotgun, she would pull it out even when her Daughter Queen snuck out the window and ran off to marry Poppa Sam Miles. Or her saying some African Tribes would have the females run up and sniff the armpits of their intended. If she survived the test, she could survive anything. Gotta find out what Tribe that is? Might be a clue as to what kind of African is in me! She smoked a pipeful of homegrown "yarbs"(herbs) they kept her eyes clear and prevented asthma. On page 27 she would talk about how they hid in the root cellar from the Yankees during the Civil War. "A rascally bunch"! When ol'Masta died, his drunken sons somehow left the deed to all their land to Grandma Lizzie and her kin. Supposedly this was the source of her income. I also wonder if the rumors of her being with the "Irishman" is true? Till this day the blue-gray eyes are passed on from this side of my family. Mom also told me her and her son Isaiah, who is "Uncle Bud" got into about the land Grandma Lizzie had on his death bed. So there is some unresolved issues about that I would like to explore. I do know where the land is? I just need to find out what the connection was? What was it that he wanted to tell Grandma Queen? but she was kept from him by Aunt Missy. It was said he was mad, when Grandma Lizzie went back to Ohio before coming back to Alabama she sold everything piece by piece. Mules and all. One evening she went to Aunt Munch, Aunt Hattie had put her on the train back to Alabama, that's where Grandma Lizzie layed down and died quietly in her sleep. The book says 107! Still in search of her Death Certificate. She was born a Slave but didn't die a Slave. Her mind was made up and her heart was set. Also she mentioned that Grandma Lizzie which I need to follow up on, made Quilts! She was asked to exhibit them in a department store where you exhibit your paintings. She won 1st Prize! Jeanne says they put her name and picture in the paper in the Akron Beacon Journal. When she went to pick her prize up the quilts were GONE! Where? No one knows. No one ever did find out who took the quilts out the window. She says it made her heartless all over again over white people for making her a Slave and now for stealing her life work. I have no idea what year this was? 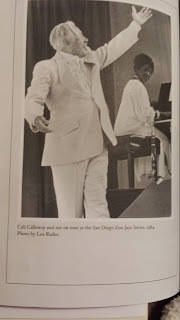 Cousin Jeanne has woven her life story in a array of wonderful words and pictures and all that she has accomplished playing all over the United States and World with some of the Greatest! I did have the opportunity to talk to Jeanne once, she was 78 in the early part of the year when I last spoke to her. She lives in California. I hope my cousins read this and contact me so we can share more. I'm so glad she wrote this book and shared a piece of our History in her story. She has 3 Cousins who are Grandchildren to Grandma Lizzie, my Aunt Bunny, Aunt Velma and Aunt Nettie still living. It was one of those initial conversations when you first start up a "Oral History Interview". I love that on page 376 she says "We went from Slavery all the way to the White House". This family has! and other's in my family who I'll get the opportunity to talk about in other blogs. WoW Grandma Lizzie! The Legacy you left behind. A friend of Jeanne's asked her, How on God's green earth do you get all those men to follow you all over the world--all these years---playing that crazy song, "Meet Me with Your Black Drawers On"? For more info on Cousin Jeanne << click. Well Good Folks, it's for ME to Find Out and Let you Know! Queen Daniel Miles "SKILLET and The FLOUR SIFTER"
I was so ELATED Today! I'm always renewing my Strength through the smallest things in Life to Blog. 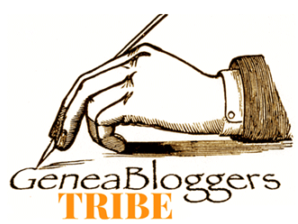 It got me Hyped and Ready about our Blog Fest on January 5th, 2014! at 11:59pm. I was doing the "Happy Dance" and "Tooting" my Horn! I was so Happy she mentioned our Blog's along with so many of my Tribe Members who get me through the day. It was TRULY wonderful and I Appreciated so Much! We also have a "Brick Slayer Challenge" at AAGSAR! We are trying to knock some of our Walls down. For me, some of them I have put up by not thinking methodically and having a plan. Asking myself questions to get around the Wall. It got me to thinking of a picture I posted a year ago! So For 2014, when I glance over from my sink. I see that black skillet from my Grandma Queen and Mom's flour sifter, as she would say "go down there and get my "Siffa"! I'm gonna use that as my muse and metaphor to get me through those days. I'm gonna "SIFT" through a lot of records and books. I'm gonna use that skillet to KNOCK those Brick Walls in my mind, down with a Mighty blow! That's what I'm gonna Do! Great Grandma Queen Daniel was born on a Saturday. January 16, 1892. Her nickname was "Lil Bit". She was small but had a STRONG presence. Her Daughter which is my Mom and Grandmom at the same time,was named "Tinnie". In the South it's said: Tiny. She is my Father's Grandmother. So LiL Bit had a Tiny (Tinnie), another Story. I knew my Grandma Queen. I remember her shuffling around in shoes that look like they were Danish. She was old when I was a little girl. I never said much to her. Few words were spoken between us. I spoke with Poppa Sam Miles who is her Husband and followed him around everywhere like a shadow. They were married May 11th, 1911. They had 10 children together. Her Father was George Daniel and her Mother was Elizabeth "Lizzie" Jordan. They say she was a BlackFoot Indian, but she looks African to ME! Mom called her a "Pistol Witch". I'll talk on that later! From what I can tell they all were born in Alabama. Grandma Queen is buried at Antioch Baptist Church, in Bullock County, Alabama, she passed away on August 11, 1977. I was heartbroken and so was my Mom Tinnie. I didn't feel like that again until Mom passed November 11, 2008. I knew her pain that day. So every time I look over and see that Ol'Swifter and Black Skillet, I'm reminded of what I got to do! Here's to BRICKSLAYING! and Grandma Queen and her Daughter Tinnie for reminding me to do what "I gotta Do"! 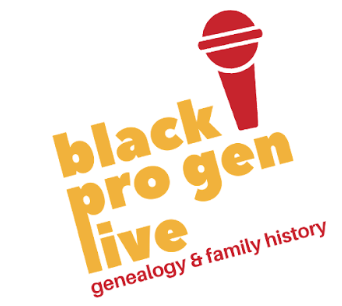 Ancestor Work! Thank You! for stopping by again and wanting to read about the "Womenfolk" in my Life married to Granddaddy Ike Ivery. These Women are always on mind. We have such a hard time finding our WomenFolks maiden names. 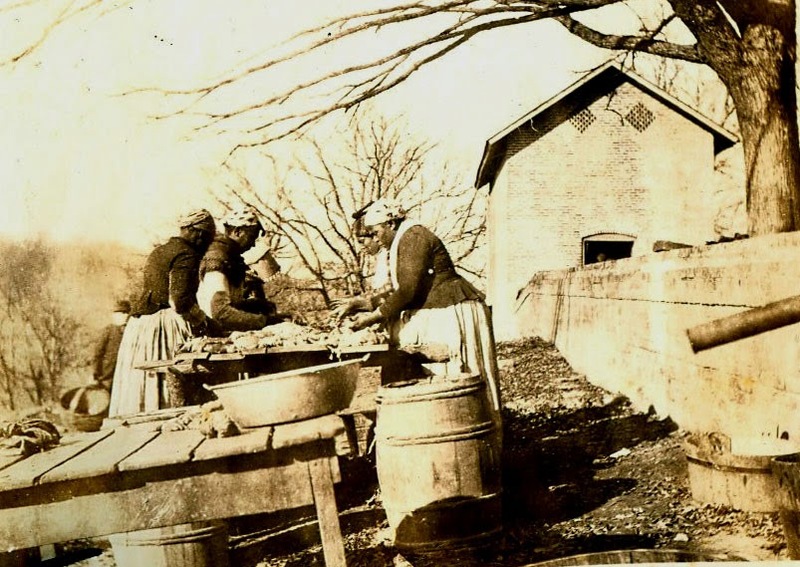 I was fortunate after slavery my family stayed intact in Midway, Alabama. I'm also Mourning them at times as well as Celebrating their lives. I think of the "Inner Sisterhood" of the 3 WomenFolk. Granddaddy Ike got married 3 times. I think on how my two other Grandmother's took on my Grandma Mary Haynes children. I try to imagine the complexities and the love it took for 2 Women to take on previous wives children's? They kept it going. I think about how Grandma Berta Hatcher came in the family and was welcomed for sure! Her Descendants adored and had much reverence for her. She carried on the Legacy Granddaddy Ike was to leave behind. Had 13 children with him and cared for his 10 kids from previously being widowed twice before and managed to look after them long after Granddaddy Ike left this World. She was the Cornerstone for keeping us all together after Mary Haynes, Mary Henry and Granddaddy Ike passed on. From 1937 she had to do the raising alone. There was no separating the children up. Everyone took up their part and helped Berta keep it going. None were treated any different from the others. The older ones helped with the younger ones. In fact I know some were off married, some were still living at home and Granddaddy Ike was having children when his children were having children! Mary Haynes: 1st Wife History: This is my LINE! The least I have on. I have not found any Descendants from her siblings or Parents yet. We do have DNA results from 3 of her 5 children. So we are ready for that! Grandma Mary Haynes! She was born in Alabama according to the 1870 census in 1855. Her father was John Haynes and her mother was Margaret. The year of 1875 when she was 20 she married my Granddaddy Ike, she would be the 1st of his 3 wives. She was 39 when she passed shortly after her youngest son Abe was born. She had 8 children with Ike Ivery. 2 of them are missing or passed away, but they are clearly reported as Bascom aged 4 and Isaiah aged 2. 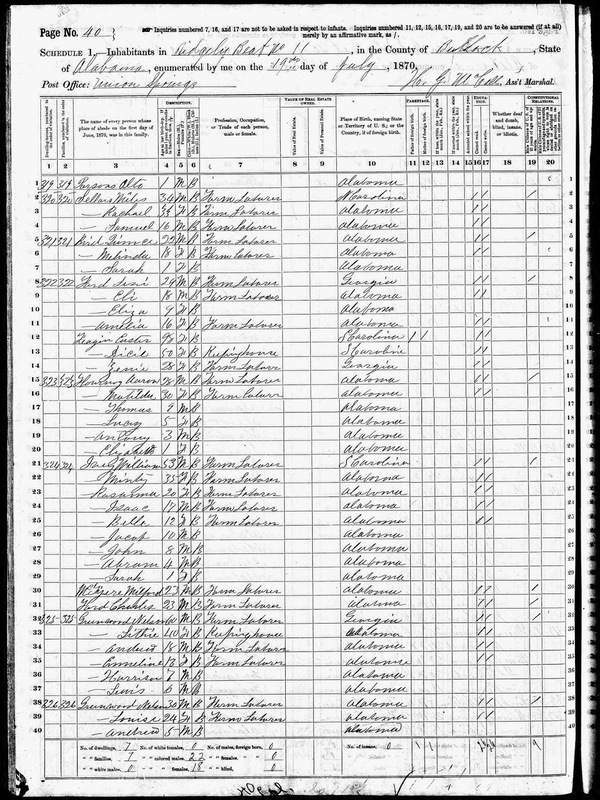 After 1880 they aren't mentioned anymore and Martha Tarver age 19 is also living with them. 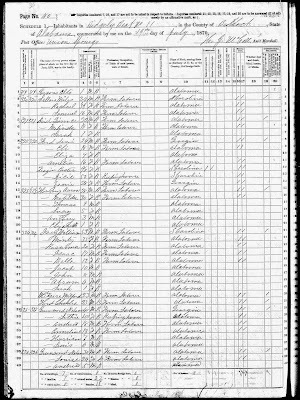 After 1880 sons Bascom and Isaiah of hers aren't listed. The following children are who are KNOWN as her children and to my Family are listed below. Obie ~ John 1877 ~ Prophet 1878 ~ Lela B 1880, she is 6months old ~Ms. 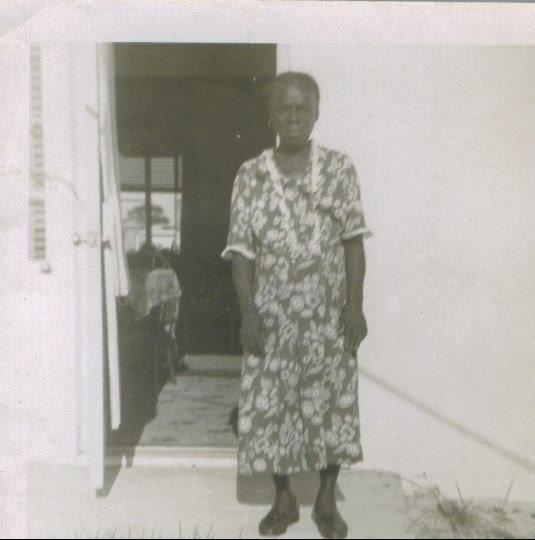 Eddie Lee: My GRANNY! 1886 ~ Abe 1887. I'll do a whole blog on Grandma Eddie! There was a 5-year gap between Lela B and Grandma Eddie possibly? I don't know what happened or what was going on? Mary Henry: 2nd Wife History. What I have researched on Mary Henry. She was the born in 1856 during Slavery. 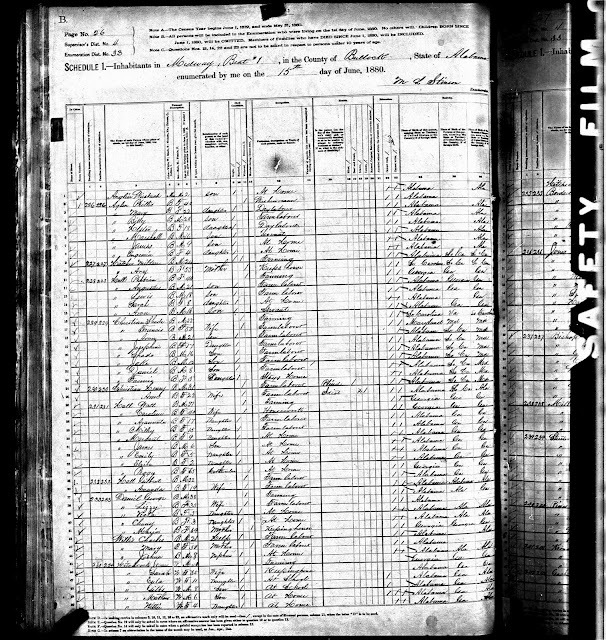 Her Parents were Dock Henry(1828-1905) dates were provided from his Estate File. Her Mother was Mariah Floyd (1826-1900). Mary's Mother passed away some time near her Daughter Mary's death. 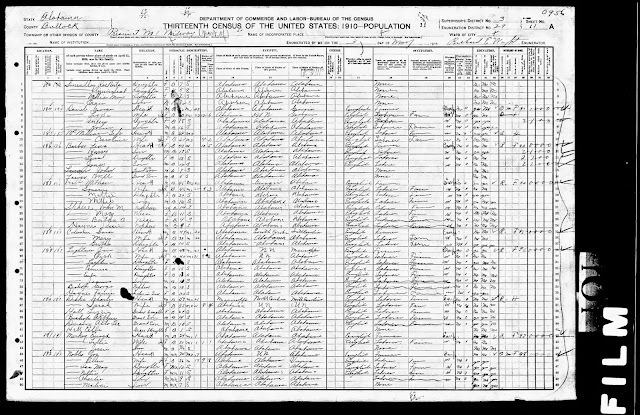 1900 census Dock says he is a Widow. 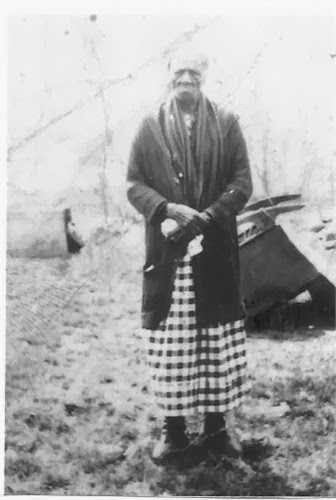 Mariah Floyd's Parents were Ransome Floyd born 1800 and Phoebe, they were Mary Henry's Grandparents on her Mother's side. Mary had 10 siblings! Through this line is where I found MjIvory on Facebook he is kin through this line through Mary's brother Joseph. Bible names. Also I got information from my Mentor that Senator Caroline Moseley Braun,1st African American Woman from Illinois was related to this line also through Mary Henry's brother, Charles. I hope we can be introduced to talk and compare notes one day. Two branches of Mary Henry's line through her siblings. Joseph and Charles. Hopefully she'll find me and we can share notes and DNA. Which is another whole "Blog Post" I'll have to start. I also wonder if both Mary's born around the same years knew each other in Midway? I have obtained good gems on the Henry's from the Courthouse in Bullock County, Alabama. Union Springs. Berta Hatcher: 3rd Wife History. 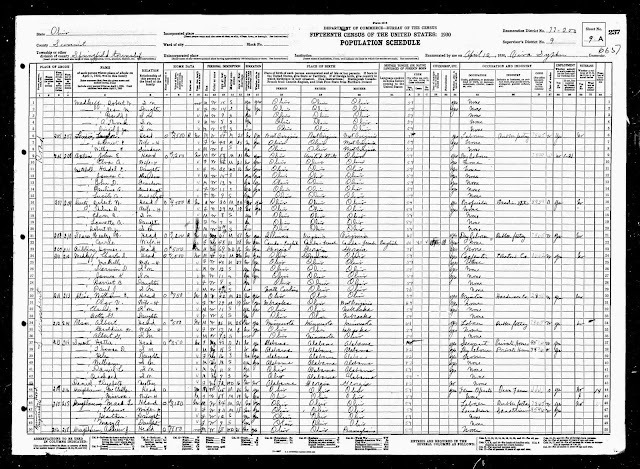 Berta was the Daughter of Charles Hatcher and Margaret Lowery? /Collier born 1852. 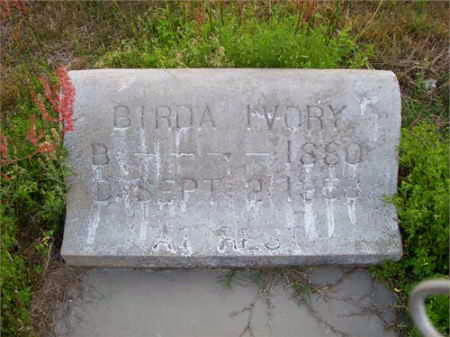 Her Parents were married November 21st, 1868. Colored Marriage Records Books, page 216. Judge W. H. Black. Her Mother passed and he married Estelle. Grandma Berta was born in 1877 in Alabama. After Freedom! She had 12 siblings. She passed away in 1952. She had 13 children with Granddaddy Ike. So many things she saw, things she did, things she didn't see that came to pass. She lived a long, fruitful life. This is where I found my cousin Dot! She has much research on the Hatcher's. Cousin Dot falls under Grandma Berta's sister Lizzie. From November when Dot initially contacted me. It took me until March regretfully to contact Dot. I was so caught up in my Documentary. I hadn't even checked my messages. I prayed she would remember me and be willing to share. Ever since we been chatting on the phone, emailing and encouraging one another and sharing research. They took pictures for me because I couldn't be there. I will always be indebted to James. Every time I put the "Call Out" for help. James has steadily been there for me. As many other's in the family. My Cousin's (Left) Alvin and James Goodloe and Dot with her Dad (meeting for the 1st time). Cousin Bea in my Documentary she could talk about Grandma Berta good! Cousin Bea is Granddaughter through Berta's Daughter Caroline. She would tell us of the time Grandma Berta would say, If Ike was here he'd go get those peas for me. If you go and get those peas I can pick those peas while ya'll doing other's things. She had a lot of Spirit. Some of the Elder grandchildren can remember Grandma Berta. There is no one left to remember the Mary's. We let the documents speak for them now. These Womenfolk singing below always help take me to the Spirit of My Ancestors. They give me a solace and peace that's comforting. I love to listen to them while I'm thinking of my Ancestors. I will Dedicate this song to my Grandma's. All 3 of Them called "Breaths". I love how their lives unfolded. How the 3 Womenfolk combined had 23 children. Their raising of the children. All the values they passed on. The traditions. They lived on through all the children. We keep that bond that they shared through us today. I know they are sitting around on some stools, laughing and exchanging stories. Thanking each other for raising and loving each other's kids. Thanking Grandma Berta for keeping them all under her fold and being that Mighty Fist! 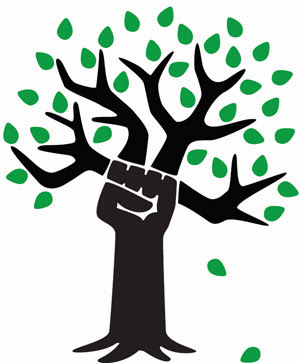 You have Five Fingers and you can spread them out and look at them in all kinds of different directions, but when you Draw all your Fingers together into a ball and make a Mighty Fist! That Fist is Strong! all things are mighty Powerful as One! That's the Ivery's.......That's the Ivery's!